Writing a lab report requires not just scientific, but also writing proficiency – something not a lot of STEM students possess. You need to be structured and explicit, clear and concise, and it is quite a challenge to write this way. I have decided to list down the sacred rules of lab report writing that should never be ignored. It is crystal clear that a report needs to be as simple as humanly possible. That includes utilizing simple sentences, avoiding passive voice, and, of course, employing action verbs. Do not shun from the subject-verb-object structure. It is the single most effective way to covey complex information in a straightforward manner. Some may find this style too bland and banal, but I assure you, this is what you professor expects to see. Passive voice is a roundabout technique of communicating intricate data. However, in a report you need to be direct and simple in your writing. Passive voice makes your writing harder to read, and detracts attention from perceiving the details to trying to decode the meaning. Action verbs are crucial in report writing. Because you want to avoid ambiguity, using verbs that denote action can go a long way in helping you draft a clear and convincing report. Do not expect your professor to fill in the explanation gaps for you. Even if you feel that everything can be derived from the data you provided, you still need to be very descriptive and evaluative in your writing. For instance, in the introduction paragraph make sure to mention the reason for your research/experiment. It is important to note why you made up your mind to embark on such a difficult and time-consuming enterprise. For instance, if you are carrying out an isomeric reaction, you can say that the reason being is to learn about isomers. Naturally, if you are a student, learning by doing is the best kind of learning. You may also want to make a certain product more competitive and sellable by finding a way to improve it. Whatever your reason, you have to state it in the introductory paragraph. Otherwise, what’s the whole point? Here I do not mean using vivid vocabulary. After the introduction, you will need to describe a set-up for your experiment. Here it may be helpful for your reader to see a table comparison of the current results and the intended ones. It will foster further comprehension of the experiment’s objective. Moreover, various figures and histograms can assist in grasping the process and the methods used in the experiment. Visualizing data is the best way to make it accessible and memorable for the reader, thus enhancing the calibre of your report. However, be careful not to exaggerate the amount of graphic material. You want to use only those charts, tables and histograms that are most necessary and conducive to understanding. Those that are not so critical can be placed in the appendix. It is of pivotal importance that your experiment can be replicated successfully. 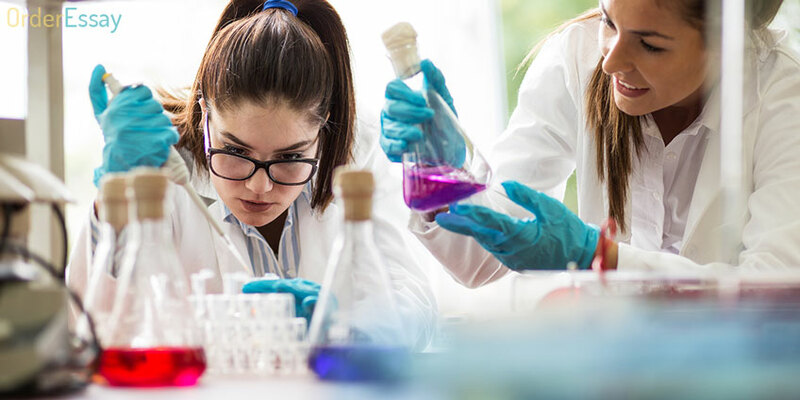 One of the goals of a lab report is to describe the process thoroughly in order for other scientists to be able to test it safely on their own. However, if you fail to be explicit in your description, negative consequences may ensue. For instance, if you talk about increasing the conversion rate from 20 % to 60 % by raising the temperature, you need to specify by what degree, and how fast and in what atmosphere you are going to do it. It has to do not just with the simplicity of replication, but also with physical damage and financial loss that can result from bad report writing. For example, if you fail to mention that you conducted the experiment in nitrogen atmosphere (which is inert to prevent things from exploding), and somebody tries to carry out your demonstration in a different one… You know what can happen. That person may suffer serious physical damage. Moreover, your company will end up being sued for this mistake. Therefore, a report needs to be as explicit as possible. This may sound like an obvious suggestion, but it is actually not that simple. Precision requires a great degree of vocabulary mastery and attention. You need to invest time into choosing the right words to ensure your report is accurate. For instance, you can say “The experiment illustrates” or “The experiment suggests.” For an untrained eye, those are synonyms. However, they vary greatly in the degree of certainty. Therefore, you need to know their definitions precisely to choose the right one. When you say that the experiment illustrates something, you are 100 % sure of your conclusion. There is no doubt here, just a plain statement. When you, on the other hand, say that the experiment suggests the thing, you are not sure about. It is an assumption, not a confident assertion. Notice how I also used active voice and action verbs here. You can now see that it is not enough to mind the structure. You need to be extra careful about the meanings as well. Laconism demands the ability to stop at the right time and not get carried away by your writing. Whatever kind of report you are crafting, it needs to read easily, without any additional strain for the reader. It is principal to avoid dependent clauses whenever possible. Subject-verb-object must become your mantra when writing a report. Do not try to impress; try to be understandable. If you have a lot to expound upon, it makes sense to use bullet points and numbered lists. Moreover, attempt not to indulge in extraneous information. You have appendices for that. Laconism will make your report look professional and solid. You professor will be truly happy. Lab reports are a challenge for a STEM student. The key is to be simple, meticulous and well-structured. Try to look at your writing with your reader’s eyes. See if it is easy to understand. Lab reports are way too common for you to avoid them. So, do not fret, put pen to paper (or fingers to keyboard) and start writing/typing. I believe these tips will assist you along the way.